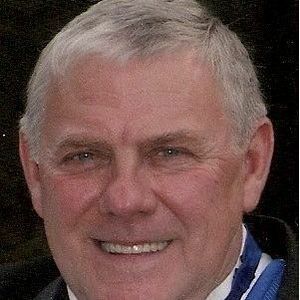 Drakesboro- Wayne Bivens, age 69, of Drakesboro died Saturday, October 22, 2011 at his residence. Mr. Bivens was born March 1, 1942 to Herman and Bernice Bivens. He was a member of the Drakesboro Church of Christ. He worked 33 years as a UMWA coal miner, and was a UMWA organizer. He also was a member of the IBEW Local 1925. Wayne was a 1960 graduate of Drakesboro High School. He is preceded in death by his parents. Basketball, fishing, gardening and his grandchildren brought much enjoyment to Palp. 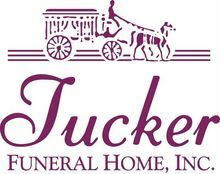 He is survived by his wife of 51 years, Gayla Rager Bivens, three daughters, LaJuana (Steve) Yonts of Belton, Melody (Gary) Epley of Central City, and Laura (Pat) Franklin of Central City, one grandson Justin Epley of Drakesboro, two step-grandsons, Todd Franklin of Vincennes, IN, Greg Franklin of Starkville, MS, One step-granddaughter Kristy Arnold of South Carrollton, four step grandchildren, Paige and Taylor Farah of Central City, and Mattie and Mary Franklin of Vincennes, IN, one sister Gail (Joe) Gregory of Smyrna,TN, three brothers, Buddy (Sandy) Bivens of Owensboro, Johnny (Kim) Bivens of Bruceville,IN, Jeff (Brenda) Bivens of Drakesboro, two sister in laws Shirley Epley of Drakesboro and Sue (Buddy) Burch of Central City. He also had several nieces and nephews. My thoughts and prayers are of both of you and your family during this difficult time. May you find comfort in your memories. Gayla, my heart and prayers go out to you and your family at such a difficult time. I am out of town for some weeks of training and I found out about Waynes passing. I am so sorry to hear this.I have only known Wayne for a few years but he was easy to take up with and we quickly became friends. I thought very highly of him and will miss his warm smile and friendship. Again, I will be praying for you and your family, If there is anything that I can do for you, please do not hesitate to call on me. Gayla so sorry to hear about Wayne. We were neighbors for a few years. I know this is a hard time for you. I lost my husband a few years ago. It will take time for healing with Gods grace you will be fine. Wayne was my Father In Law. After the death of my Father, I looked to him as a Father, and he filled the void of my loss. I can't put into words all the many things he taught me, especially about life, and being the person I want to be. Wayne was a quiet caring man that always put everyone's wants or needs ahead of his own, and was the foundation of his wonderful family. I can only hope to be a person more like Wayne, as he was a wonderful person. Wayne was not only a Father figure to me, but a good friend. I will miss my friend, and treasure my memories of him. Wayne was a very good friend of my brother, Roland Hettinger, who died in 2006. I am Roland's sister, Mary Helen. Wayne use to spend a great deal of time at our home in Owensboro. We all, our family, thought of him as our own. He was also kind enough to call and leave his sympathy for my mother, Louise, who passed away in 2007. Wayne was a wonderfull little boy, I remember a few of my brothers friends, and Wayne was a special memory. As a little boy, Wayne was always kind and considerate of others. He will be missed by his family in Owensboro. God Bless his family and may each of you find some comfort in knowing just how special he is and was in some people's lives. Labourer's Task Over Now the labourer's task is over; Now the battle day is past; Now upon the farther shore Lands the voyager at last. Father, in Thy gracious keeping Leave we now thy servant sleeping. Very sorry to read about Wayne's passing, partialy grew up with this family in the 50's as we were neighors. Will be praying for the family at this time. Gayla......so very sorry to hear about your husband. My prayers are with you and all of your families. May God bring you strength and comfort during this time.. An old water arobic buddy.